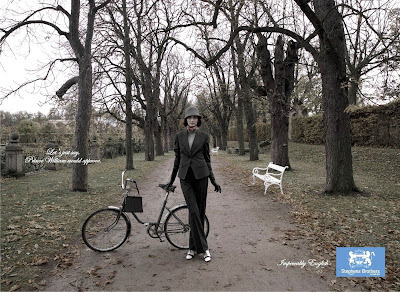 Cycle Chic Advert for the bespoke British company Stephens Brothers. "Let's just say, Prince William would approve" is the tagline. Who gives a toss if he does or not. It's pure speculation. Cycle Chic approves. That's a fact. Get a picture of Prince William riding a bike while wearing a Stephens Brothers suit and then you really will get a cycle chic movement in London!